WASHINGTON, D.C. – As the nation’s first mandatory GMO labeling rules go into effect today in Vermont, senators in Washington continue to work toward passing legislation that would wipe out states’ ability to require GMO labeling and replace it with an ineffective federal program. 1) The Roberts-Stabenow Bill Could Reverse Labeling Already Occurring in the Marketplace. The bill directs the USDA to develop federal labeling rules, which will take at least two years. While labels marking products with genetically engineered ingredients (also known as GMOs) are already appearing on store shelves in Vermont and across the country, passage of this bill could shut that down. 2) Much GMO Food Would Not Be Covered by Disclosure Requirements. The legislation leaves out food produced with emerging techniques other than certain types of genetic engineering, and does not require a label for any product that could be created by conventional breeding or found in nature – virtually all current GMOs. This would also exempt products with GMO ingredients such as highly refined or processed sugars, oils or proteins. And the bill exempts any food wherein meat is the main ingredient, even if it contains other ingredients that are genetically engineered. 3) QR Codes Are Not a Substitute for On-Package Labeling. Alternatives to mandatory on-package labeling like QR codes are not a sound labeling solution for the one-third of Americans who don’t own a smartphone and those in rural areas without reliable broadband service. 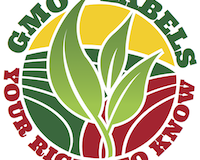 Moreover, a recent Mellman Group survey found that nearly nine in 10 American voters would prefer a printed GMO label on the food package over scannable bar codes. Only eight percent preferred the scannable code.